This series will cover some very important things that we need to know, understand AND apply to our lives. So, before we begin, please read Galatians 5:22-23, Matthew 22:36-40, Ephesians 6:10-18, and 1 Corinthians 13 (the ‘love’ chapter) verse 13, specifically. Please note that there are some overlapping words here. These are the first ones that we are going to take an in-depth look at as they tie everything together. LOVE – this love is NOT a ‘feeling’, it is a ‘choice’! It, according to Strong’s (# 25) is the ‘idea of duty, respect, veneration; meaning to love and serve with fidelity’. It also speaks of the unconditional love of Christ that we all should have towards others; benevolence, goodwill. We need to actively live out our faith, resting completely in God’s love for us and our being reconciled to Him. The outflow of this will produce the unconditional love of Christ permeating from our lives to those around us. I pray that by now, you have read and re-read the passages in Galatians, Matthew, Ephesians and 1 Corinthians a few times and are very familiar with them. Let us add one more passage to these. Let us pull out the words from this section of Scripture that we also see within the previous passages – KINDNESS, GENTLENESS, PATIENCE, PEACE, LOVE – from these five words we have confirmation that our Christian walk is not complete without ‘armor’ (peace), ‘fruit’ (kindness, gentleness, patience), and the ‘glue’ that holds it all together – love (also the first ‘fruit’)! Armor – this is something that we put on, for protection, as we head into battle. Now we need to remember that our life, in Christ, IS a battle – but our battle is NOT with one another! Satan does use people to distract, wound and attack, but many times the person or persons who are being used in such a way are in their own spiritual battle and completely unaware that they are being used. Every one of us needs to keep our eyes open, our ears attuned, and our hearts focused on God’s Word; on Who He IS in us and who we are in Him! That way, as stated in Ephesians, we can stand firm. FRUIT – this (from Galatians) is a singular thing. It is what is produced from/in the one who abides in Christ (see Matthew 15). As we turn our hearts and minds to the Author and Finisher of our faith; trust in Holy Spirit’s guidance, completely, the FRUIT will be the by-product. People will see it in us and experience it from us! LOVE – without this ‘glue’ none of the above apply! Notice that when there is a reference anywhere in Scripture to aspects of a Christian’s identity, purpose, or personality, where love is mentioned along with other ‘fruit’, love ALWAYS is listed first. It supersedes everything else. Only as we totally lose ourselves in God’s love, allow Him to fill us to overflowing with it, and allow it to govern our lives, can we see the fruit of our obedience blossom and grow! We obey because we love. We love because we have obeyed. It is an unending cycle of God’s grace that is always more than enough for all things. BUT… we still live in this world and have warfare every day against the enemy of our soul – and God has amply supplied everything we need to conquer – this brings us back to our ARMOR. Before the next lesson, please write out various areas that the enemy continues to attack you. We are going to look for ‘weak links’ in our armor. We will look at each piece of armor and see which ones we need to work on. All soldiers prepare their armor – they make sure that it is well oiled, secure, in good working order. Are we aware of every piece of armor and its purposes? We will be! At the end of the last lesson I asked that we start to write out specific areas where you are attacked the most. We did this so that we can find which part(s) of our armor are not being properly maintained and/or worn. To do this, we need to better understand what these mean for us: how to maintain them – how to wear them –how to use them! HELMET (SALVATION) – This is our ‘defense’ against hell. We are ‘saved’, spiritually, from death. Death/sin NO longer have any hold on us! We have been transferred out of the realm of darkness into Light (and are being, daily, transformed into the image of Christ). SHIELD (FAITH) – We KNOW that we have been saved! We KNOW that Christ’s death allows us to reconciled with God the Father, and that we now can BOLDLY approach the Throne of Grace. BREASTPLATE (RIGHTEOUSNESS) – We now have Christ’s righteousness as our own! We are in right standing with God. We can now choose to walk in right conduct, being virtuous people of integrity. Our conduct and our character start to reflect Christ-likeness as we grow in our faith. BELT (TRUTHFULNESS) – We know what is right and just, we are sincere in our words and our actions. Our conduct reflects this as we stand firm on what God’s Word says. We are no longer people of deception. SWORD (THE SPIRIT) – This is the very ‘breath of God’ – His Holy Spirit living IN us and “illuminating and empowering them, and imparting to them spiritual knowledge, aid, consolation, sanctification, and making intercession with and for them” (Strongs # 4151). SHOES/BOOTS (PEACE) – this is the opposite of war – it is “peace of mind” (as we learned from our introduction, using Strongs # 1515). 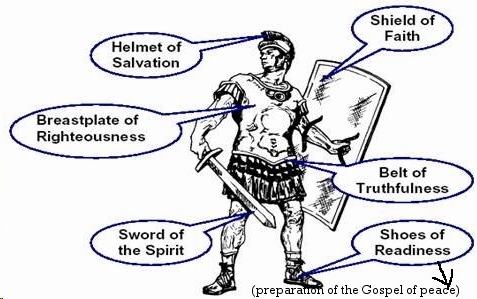 So, there we have them – helmet, breastplate, shield, belt, sword, boots, prayer, and petition. We know WHAT they are. Next lesson we will look at “how to maintain” them. The first item in our armor that we are going to look at is our Helmet. This is what covers our head. We must remember that the enemy’s tactics most always start in the mind – our thought patterns. We need to realize AND apply this truth – Jesus’ finished work on Calvary has paid the price for our sins; and we now have the authority to ‘take captive every thought’ (2 Corinthians 10:5). In other words, as the enemy tries to hit us with ‘God will NEVER forgive you for that!’, or ‘Sure, you’re a Christian! Just look at what you did (or what you said, etc. )!’ Grab that thought right when it enters! Do NOT dwell on it. Remind Satan that it is under the blood and that ‘there is therefore now, NO condemnation to those who are in Christ Jesus’ (Romans 8:1). . . be sure to proudly wear that Helmet of Salvation, keep it in place! The second item we are going to address is our Shield. These were made of tough leather and it had to be maintained properly in order to not become dry and brittle, which would lead to penetration and death (which is what happened to King Saul – see 2 Samuel 1:21). They maintained it by oiling it daily! The application of oil was to ‘anoint holy objects or kings’ (Strongs # 8081). It also signifies strength and gives an overall picture of richness. When applied on a regular, daily, basis, the shield had great strength and the arrows of the enemy would simply bounce right off. We, too, must daily ‘oil’ our ‘shield of faith’. Oil in scriptures reflects Holy Spirit – we cannot live this Christian life without Him. We need to be immersed, completely saturated with His presence, His anointing, that our faith remains well oiled and strong. It needs to be as rich to us today as it was the very moment we accepted Christ into our lives and Holy Spirit came in to abide with us! Our shield of faith should always be up and ready for battle – let us not be caught off guard or unprepared with a dry and brittle shield. The third piece of our armor to look into is our breastplate. What IS a breastplate? We know that symbolically it is the righteousness of Christ that we put on; but, it was originally used in battle to protect vital organs (lungs, heart, etc.). If a soldier went into battle he needed a very strong breastplate that would be keep him from sudden death by arrows penetrating. It, too, like the shield, can have the arrows bounce off and thwart the tended purpose of the enemy. So, how do we maintain this? First, by understanding that it is not OUR righteousness that stands up against the enemy – it is Christ’s! In Him we ARE victorious! Secondly, being sure that there are no open areas – in other words, asking ourselves, “am I trying to do this in my own strength?” or “Is my heart attitude right? Or am I portraying the ‘look at me, look at what I did’ attitude?” Other ways to look for open areas that the enemy can shoot through would be am I taking in the Pneuma – the very breath of God (Holy Spirit) as our strength and protection? If we are NOT in the Word on a daily basis, our breastplate may very well have holes developing and/or getting bigger! Fourthly, the belt – this is the item that went firmly around the waist. It ‘girded the loins’ (protected). Take a look, again, at the graphic we shared yesterday. See how this wraps around, hugs the body? Truth needs to be like that on us – it should be such a part of who we are that there is no visible area of separation! This belt, according to the Nelson Study Bible, is "hung strips of leather to protect the lower body." Pastor Landon Kyker (Pastor of Living Stone Church) shared a very interesting comment about this protection that I wanted to share with you, with his permission. He said that this “protected that which was needed for reproduction.” Dear ones, how can we expect to reproduce if we are not protecting ourselves? We are told, by Jesus, to ‘go and make disciples’ – that IS reproduction. We cannot do this if we are unprotected and allow ourselves to be wounded by the enemy! Also, The Matthew Henry Commentary says the belt "girds on [secures] all the other pieces of our armor." If we do NOT have the belt of Truth securely in place, we cannot be ready for battle. God’s Word is Truth. We must wear it faithfully, keeping ourselves protected completely – having ‘at ready’ that which hangs from it (i.e., our sword). The SWORD (of the Spirit) is that which ‘rightly divides the truth’ (2 Timothy 2:15). So, to maintain our sword, we – again – need to be absolutely regular in our times of prayer and study – alone and corporately! To keep the sword sharp it must be actively sharpened at all times. We cannot pull out our sword to use it and expect it to be sharp if we have not maintained it. Yesterday’s Word, or Pastor’s message, will not keep it sharp enough for battle today! Paul refers to this sword as ‘of the Spirit’, because as we have been learning, Holy Spirit is the ONE who lives in us and illuminates the Word to our hearts. He is the One who teaches us exactly how to use it (we will cover this in part 5). SHOES/BOOTS – these are the ‘readiness of the Gospel of peace’ or “boots of peace” as some would like to say. Proper maintenance of our footwear is important. We do not want them to be so soft on the bottom that anything we may step on can penetrate and wound. Nor, do we want there to be any holes, rips, tears, places of weakness. They need to be (and remain) supportive. How do we do this? Well, as most of us that have had leather shoes know, they need to be lubricated – the ‘oil’ again! Yep . . . Holy Spirit teaches us how to walk as Christ walked – in peace … we need to ‘step into’ His peace. Ask Holy Spirit to show you how, and to help you along the way (see Hebrews 12:14). And, lastly, I like to think of “PRAYER AND SUPPLICATION” as our outer protection from the elements of life. Like a cloak or a blanket. If we have kept ourselves ‘prayed up’ we will remain protected even as we sleep, and our ‘sleep will be sweet’ (Proverbs 3:24). It can also be His protective covering (see Psalm 91) – as we take shelter in Him, resting under shadow of the Almighty. There is so much to be absorbed it will take time. It is a new ‘mind set’ – learning how to use the tools that God has given us, but ever so worth it to walk in victory! ​I want us to think about some very specific (and familiar) things we recognize as important aspects needed for specific tasks. Our vehicles – we would not expect to get into a vehicle with no gas in it, flat tires, broken headlights, missing windshield wipers and expect to get very far. Having to walk to school or work in a heavy snow storm – we certainly would not go outside into this type of weather without first being sure that we had as much protective clothing as possible. Gloves, scarf, hat, coat (or even a snowsuit), warm socks and boots. Deep sea diving – we would never attempt to do this without a wetsuit, oxygen tank, snorkel, goggles, fins – and, being sure that we KNOW how to swim and/or have others with us who were experts. How about grocery shopping? We would not allow ourselves to go to the store without having some idea of what we needed to buy, and never without the means to do so – cash, check, debit/credit card. Or, without the means to get the purchases home. Okay, I believe the point has been made. There are things we do on a fairly regular basis that we make sure we are equipped for. We make sure we have as much knowledge as possible. We make sure that we have the proper means to get as close to our goal as possible. We make sure, that if we are uncertain about something, that we have others around us more knowledgeable to assist us on our journey. Why is it, then, that when it comes to the spiritual aspect of our lives, we do not even seem to notice what we are wearing, how we are wearing it, or if we even have it nearby at all? This is a very sad thing. The ‘spiritual’ aspect of our lives, for us as Christians, should be the MOST important aspect of all! Remember what Paul said in Galatians 2:20, “I have been crucified with Christ and I no longer live, but Christ lives in me. The life I live in the body, I live by faith in the Son of God, who loved me and gave himself for me.” So, if this is true (and God’s Word IS true!) then why are we not properly dressed? Properly equipped and ready for every day? There WILL be warfare, yet we go out in the blizzard of our spiritual life barefoot and naked! We need to step into our boots, make sure our head and chest are covered properly, that we have ‘gas’ in the tank of our vehicle! If you are unsure ‘how’ to do that, start with reading aloud the verses in Ephesians 6 – speak them as a prayer, declaring that you have “the helmet of salvation, the belt of truth, the shield of faith, etc.” Literally, put them ON as you read the verses to yourself – soon, it will become such a natural part of yourself and your daily routine it will be just like brushing your teeth, combing your hair, getting dressed, eating, sleeping . . . normal (yet important) stuff! Then, wear it proudly – for example – when a woman receives an engagement ring – she wears it proudly. When a young man receives his ‘letter’ jacket – he wears it proudly. When you get your first vehicle, or a new bike, you take special care of it – and use it proudly. So it should be with the armor that God has given us to be fully prepared for our battle of life. He has already given us everything we need, but WE are the ones that have to actually put them on! They do not put themselves on – just like a car will not run without gas – it has to be put there! By now, prayerfully, all of us are aware of what our spiritual armor is, how to maintain it, and how to wear it. However, just because we put on a pair of ice skates does not mean we can go out on the ice and win a gold medal in figure skating. It is the same with our armor; we must learn exactly how to utilize every aspect of our armor. It is like knowing how to drive a car. You may have head knowledge, from observing your parents over the years. You understand that you have to put the key into the ignition and turn it. You may even understand that moving the wheel from one side to another will turn the vehicle, but if you have not actually gotten behind the wheel for yourself, and had someone right there to help take you through it step by step, you would not (most likely) get very far (safely). Kenneth Copeland made a statement about prayer, breakthrough prayer, in his book “Faith to Faith” for the February 9th devotional that I would like to share with you. He said, “It means using your spiritual armor to push back the forces of darkness that surrounds them.” You see, the armor that we have to use is not only for our own benefit, but for the benefit and protection of others around us. We are an army of The King – we are soldiers of His Kingdom and we have weapons to use, and armor for our protection. We have the armor – we have the weapons – we may even understand “how” they work, but until we start using them for ourselves, it is like stumbling in a dark, unfamiliar room. Using our spiritual armor takes practice! We know we have it. We know what works where, and even the ‘how’ – but if we have not experienced it for ourselves – we are unstable, unsure and unprotected! To be sure that we are properly secure in our armor – and fully trained to use it effectively – we must be IN the Word for ourselves. We must know what it says about the things we are facing – it must be so much a part of who we are that when the enemy does attack we can whip out the Sword of the Spirit, from our Belt of Truth and wield it with determination against the enemy of our soul! Just as Jesus did, in the wilderness, when He said, “It is written….”. That, dear ones is where the victory is – KNOWING The Word – standing firm in our boots of the gospel of peace – fully understanding that NO weapon formed against us will prosper – telling Satan to take a hike because it is written … and then speaking the Word into our situation! We have heard the saying . . . “I am the devil’s worst nightmare!” . . . and perhaps even used it . . . it is true . . . IF we know the Word and apply it to our lives! We can overcome ANY thing! The victory is already ours – and the only reason we run around in defeat is because we are NOT properly using the weapons of our warfare – our armor! Our weapons are MIGHTY! And, even a brand new believer can speak the name “Jesus” with authority over the enemy and win! But not if they don’t understand that. Helmet of Salvation – remind yourself every day that you are a BLOOD bought, redeemed, child of the King! Never forget the price paid for your being reconciled with God! Breastplate of Righteousness – always remember that it is ONLY through the righteousness of Jesus Christ that covers you that we are worthy to be called sons and daughters of Almighty God! This is NOT something that we could ever do on our own, or even begin to earn – it is a gift! Belt of Truth – KNOW the Word – find out what it says about everything . . . then, apply it to your life! Sword of the Spirit – Allow Holy Spirit to continually fill you to overflowing – allow Him to direct your steps, light your path, bring the Word to life inside of you – applying it to your life! Gospel Boots of Peace – Again, KNOW the Word and, be at peace with everyone (as far as it is up to you – see Romans 12:18 & Hebrews 12:14) . . . this brings us back to fruit . . . which we will address in the next lessons. Here is a question for you, posed to me back in Bible School – “when is the last time you put your ear up next to an apple tree, or a grape vine, and heard it ‘straining’ to produce?” A very silly question, correct? Not if you really stop and ponder it. We, as Christians, have been heard to say things like, “It’s so hard!” or, “I don’t know if I can do this.” So, if we are living our lives as productive Christians, if we have the fruit of the Spirit developing within us, working through us, how dare we think that this is something we have to strive towards? “Contains seed” – it has the ability to reproduce! This is NOT something we can do apart from being IN The Word of God, in prayer, and in fellowship with other believers. It is only through the sanctification process that we understand how imperative it is to stay connected to The Vine – AND – how to learn to ‘embrace’ the times of pruning by our Father! The fruit produced in and through us by ‘abiding in the Vine’ is that which reproduces . . . we ‘go and make disciples’! “Can be eaten” – it nourishes the body! It is then, as we continue to abide that the fruit begins to nourish others – the people around us. Let us look again, at the exact fruit of the Spirit: LOVE, JOY, PEACE, PATIENCE, KINDNESS, GOODNESS, FAITHFULNESS, GENTLENESS and SELF-CONTROL (Galatians 5:22) Every one of us can understand that any one of these attributes can help nurture another person! Most of us can recall a time in our lives when the kindness of another, the gentleness of another, someone’s patience, touched our hearts deeply and helped us along our journey. As we will see over the next few lessons that this fruit (singular) IS evidence of every one of these components AS we live our lives set-apart to Christ! It is a process . . . that is why there is pruning . . . and, as we mature, the fruit becomes larger, juicer, more beautiful to behold. It becomes better able to reproduce and provide nourishment. In our notebooks, let us make a section for each word listed. Then, after each one of the nine, write out two parts…1) how this has impacted my life from another, and 2) is this a normal part of my walk with the Lord? There are nine components to the Fruit of The Spirit. Today we are going to become familiar with the first five. We will simply be looking at what the original text meant by this selection from God to empower us and to edify others. The more we mature in our faith walk, our personal relationship with God, the more this Fruit will be of benefit to us and others. People will see Jesus when they observe our lives, because this Fruit was fully realized in and through His life here on earth. He was our example, and He is the One that gave us Holy Spirit to dwell within us (see 2 Corinthians 5:5)! KINDNESS - usefulness, moral excellence (in character or demeanor), good. It is the grace which pervades the whole nature, mellowing ALL which would be harsh. . . Oh how I love this one! Have you experienced being around people who have such rough edges to their personalities that it almost always is painful to be around them? I have, and Lord knows, I believe that I may have also been that way years ago. My apologies to everyone who may have experienced that from me! The more we mature in our faith walk, the more like Jesus we become, all those rough edges are smoothed away. Sometimes, those rough edges are so stubborn that it may feel like a chisel is being used on your soul, but let Holy Spirit do His work. Let Him produce kindness within you. Let it overflow from you to those around you. Allow your life to reflect His kindness, for it is His kindness that leads to repentance (Romans 2:4), and that dear ones, is a very sweet, nourishing fruit! Next time we will look at the last four. This is quite a bit to meditate upon and absorb. God bless you! During our last lesson we learned more about the first 5 out of the 9 components that are contained within the Fruit of The Spirit. Today, we will be looking at the last 4. Wow! Here we see in Scripture the ‘glue’ of our lives – LOVE. See how it is entwined? If everything we do and say comes from a heart of love (for our fellow man) from God, we will have the Fruit of the Spirit flow! Not to mention that righteousness and faithfulness are there protecting us! We will have our shield up and our breastplate on. “man of god”, that is us – you, me – we are the ones that must chase after these things. How? By being in the Word of God. By being a part of a community of believers that are able to help encourage and hold us accountable. God’s love will be our love! We will be able to endure (having patience) with things that ‘happen’. 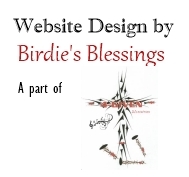 We will be able to respond to people gently, reflecting a life of godliness. Again, our shield of faith and our breastplate of righteousness work together. It becomes a natural part of who we are! Mighty warriors in the Kingdom of God! Okay, ‘law’ isn’t listed exactly, but it is referring to God’s Word which is our belt of truth as well as the sword we use through Holy Spirit’s guidance. As we are IN the Word and applying it to our lives (putting on that belt of truth), we will have great peace (our feet will be ‘fitted with the readiness that comes from the gospel of peace’)! It will flow out of you. It is a part of the Fruit of the Spirit. Once more we see the ‘glue’, love, in the middle. A salutation to the brothers and sisters, Paul wrote this letter to encourage them. He spoke peace and love WITH faith. They all are needed, working together in our lives, for living victoriously. Rev Karin Lynn-Hill, founder of 4-Given Ministries, has a heart for discipleship. A deep desire to help others learn how to apply the Word of God and live and walk victoriously in all situations in life. This study is one that she did as a tool for those she has worked with to help them along the way.